Surfing in Sayulita, Mexico offers a fantastic addition to any vacation to the village. The waves are perfect for all skill levels including beginners (first time), intermediate, and advanced surfers. Waves break in the bay all year round with the best months being December through early April, as that is when the north swells hit. Read Learning to Surf in Sayulita and discover why Sayulita is the perfect place to take up surfing. Surfers were some of the first foreigners to visit Sayulita in the late 1960's where they found warm water and consistent waves year-round. There are two surf spots in Sayulita; a right (longboard) break in front of the village and a left (faster) break in front of the campground. Surfboard rentals can be found at a variety of locations on the beach in front of the right break. Surfers may want to bring a 1-2 millimeter rashguard for the early morning breezes in December through March but a wetsuit is rarely needed. Beginners looking to find surfing lessons in Sayulita can choose from a variety of Sayulita surf lessons, coaches and instructors. 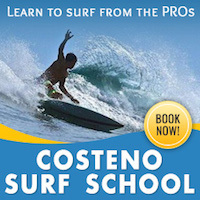 Reservations are recommended but you can also usually get a Sayulita surf lesson any day of the week. Make sure to ask a potential instructor a few questions about their lesson plan to determine if they are qualified. A lot of places offer packages that include board rental as well as a rash guard. Make sure to wear plenty of sunscreen. Surfing in Sayulita is sure to be one of your favorite memories of your Sayulita vacation. Local Sayulita surfers may tend to be a little aggressive on crowded days. Beginners should stay to the "surfers right" when attempting to catch waves for the first few days. Learn surfing etiquette before paddling out into the lineup. Never drop in on anyone and always keep a smile on your face. Before paddling out, get a feel for where everyone is sitting in the water and where the waves are breaking. Also, take some time while watching the waves to stretch. One of the great things about surfing in Sayulita, is the number of neighboring Surf Breaks just a short drive away. 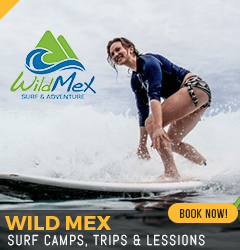 Wildmex Adventures runs daily Surf Trips and Surf Lessons to Sayulita's neighboring Surf Breaks, including roundtrip transport from Sayulita. Joining the Surf Trips is a great way of experiencing the areas quality waves with the best local guides. 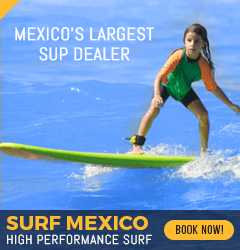 The Surf Lessons at different surf breaks , also including transport from Sayulita, are a more secluded alternative and pristine experience and a great option when conditions in Sayulita are not adequate for Surf Lessons. A rental car is recommended for surfers looking for guaranteed surf during a 5-10 day trip. Sayulita can have great waves but it is a north facing bay, while the Punta Mita bays and breaks are southern and western facing. If you would like to arrange transportation for day trips to surf the many breaks near Sayulita, check our transportation page. The latest water sport craze emerging in Sayulita is Stand Up Paddle boarding, unlike surfing, you can choose to catch waves or just cruise along on a stand up paddle board and enjoy the sights and sea. 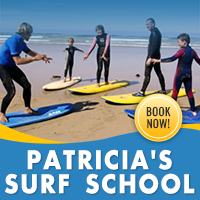 Many of the local surf schools also offer stand up paddle boarding rentals and lessons. Stand Up Paddle boarding offers a great full body workout and it a fun activity for the entire family! 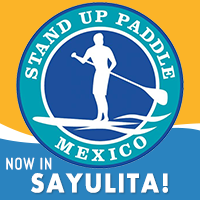 Sayulita is the perfect place to learn this great new sport. Such a great place, that the 2015 ISA World Stand Up Paddle and Paddleboard Championship was held here in Sayulita! Whether you are a beginner or an experienced surf enthusiast, Sayulita boasts an excellent surf break, great learning conditions and a variety of surf schools and surf shops where you can find all surfing gear and accessories during your stay in Sayulita. Check out the links below for more Sayulita surf information including wave forcasts, buoy reports, and tide charts:. Yoga & Surf with Leah: Why Choose Between the Two?